Ancients as well as many people today have believed that cosmic events -- the passage of comets, planets aspecting one another and/or the Sun and Moon, etc. -- influence our lives and affect the course of our lives. Whether or not there is anything to astrology, the premise that Earthly life, including humanity, has been significantly influenced and changed by cosmic phenomena is well-founded and has scientific knowledge behind it. From the very beginning of Earth's existence, some 4.5 billion years ago, countless astronomical events have affected the Earth and its emerging life-forms. The chemistry of our bodies, from the iron in our blood to the calcium in our bones, comes from stars that lived and died hundreds of millions of years ago. Over all that incomprehensible span of time, comets have showered our oceans and land with organic chemicals, impacts of comets and asteroids have wiped our most of the biota that filled the Earth's land and seas during that time, and powerful beams of light produced by catastrophic deaths of stars have done terrible things to Earth's atmosphere, and caused problematical mutations in countless species of plants, animals, and fungi. In this grand tour of the cosmos and Earth's place in it, the author discusses the many ways we are connected to our vast, possibly infinite universe. 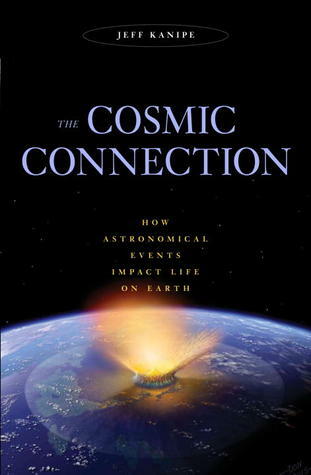 Tracing the long, long natural history of how events in the nearby and remote parts of the universe have affected life on Earth, and how they might influence life in the future, the author covers the who range of known and theorized events and phenomena, not only in historical context but in future contexts, as well. And as the tile of this book suggests, he shows how these events are all interconnected. The author's elegant, jargon-free descriptions of these and related issues will delight and inform anyone who has an interest in astronomy, the evolution of the Earth and its life, and the future of that life, including human life.